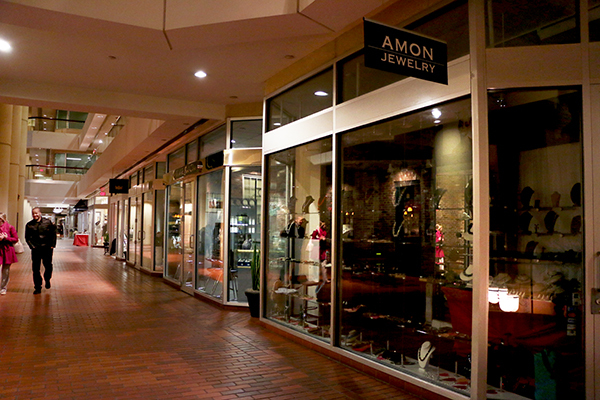 Small business in the Shops at 2000 Penn, like Amon Jewelry, have seen sales hits recently. A half-dozen stores in Foggy Bottom’s main shopping center are hurting as big-name chains have opened nearby, threatening some of the oldest and smallest businesses on campus. Sales have dropped at six of the 17 businesses at The Shops at 2000 Penn, owners and managers said last week. Many attributed the declines to the opening of The Avenue complex in 2011. The struggling shops include restaurants like Au Bon Pain, Perfect Pita, the 40-year-old pub Lindy’s Red Lion, as well as a florist, a jewelry store and a clothing boutique. Nearly all are locally owned, including the area’s only ice cream shop, Cone E. Island. The 27-year-old Foggy Bottom staple, which is thousands of dollars in debt, will close next month. It will be the sixth business to shutter in 2000 Penn over the last eight years, which has also seen popular national chains like Chipotle and Paul move in recently. Jim Eckels, the owner of Lindy’s Red Lion, which has sat on the corner of 21st Street and Pennsylvania Avenue for almost 40 years, said business has “taken a hit” recently. About 10 other restaurants have opened nearby in the last five years, many located in The Avenue complex along I Street. 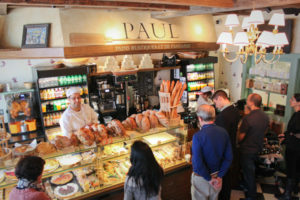 The Shops at 2000 Penn also includes Paul Bakery, a national chain that could help breathe life into the shopping center. Managers at Au Bon Pain, Perfect Pita and Chateau Florist said the popularity of Whole Foods has hurt their bottom line, as hordes of students choose to fill cartons at the hot bar instead of walking into the mall. 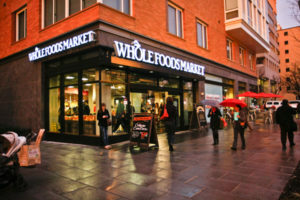 The national grocery store chain opened in 2011 in The Avenue, helping the retail, office and apartment complex become one of the hottest spots for business in the city – and take a bite out of the shopping center down the street, 2000 Penn, owners say. “Couple that with the opening of Circa and Sweet Green and Roti, and it had a large impact. All those put pressure on the smaller restaurants along Pennsylvania and really affected business,” Perfect Pita manager Erica Dodd said. The mall took a hit in December 2012 when high-class seafood restaurant Kinkead’s closed after two decades there. More than a year later, the 245-seat restaurant space is still vacant and a ‘for lease’ sign hangs in the window. 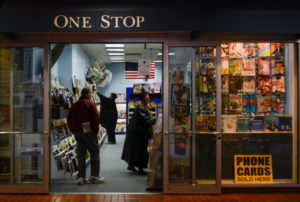 One Stop News, a family-owned newsstand in The Shops at 2000 Penn, is known for its eclectic array of publications, ranging from D.C. business dailies to monthly fashion magazines from around the world. Paul Sheridan, the property’s general manager, declined to comment about the financial state of any tenants or about why Kinkead’s has sat empty, citing company policy. University spokesman Dave Andrews said the “continually changing tenant mix” is common in urban markets like D.C. The Shops at 2000 Penn, which the University has owned since 1984, is worth about $140 million, according to city records. Amon Jewelers and Expressions boutique, two of the smaller shops in the mall, say that though business in the mall decreased when Kinkead’s moved out, the new Chipotle location has lured in customers from the nearby International Monetary Fund and the World Bank since it opened in October. The Shops at 2000 Penn will likely see more “vibrant” business as more retail shops open along I Street over the next two years, Executive Vice President and Treasurer Lou Katz said. Shops and restaurants will line the ground floors of the Science and Engineering Hall and the “superdorm” when they both open within the next two years. Katz, who has spent more than two decades at GW, said the Shops at 2000 Penn overall “continues to do well” and would continue to improve as more retail spaces lure visitors to the area. 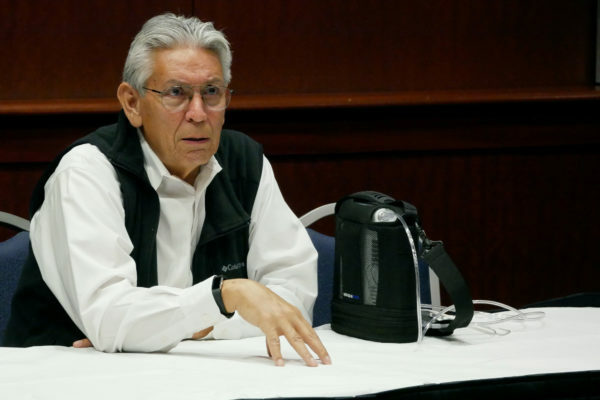 The University sued a 20-year-old business named One Stop News after it fell behind more than $63,000 in payments last February. The newsstand settled the complaint with GW out of court two months later. The business, which declined to comment on recent sales, has remained open. Whole Foods opened in 2011, which some retail spots say have lured customers away. David Versel, a senior research associate at George Mason University’s Center for Regional Analysis, said indoor shopping malls like The Shops at 2000 Penn are an outdated architecture model that is dying off across the country. But he said the center could get a lift by larger chains like Chipotle and the French bakery Paul moving in. As many longtime, family-owned businesses struggle, others like the G Street restaurant Tonic have thrived. Tonic manager Jeremy Polk said that even with competition from new restaurants like Circa and District Commons, sales have increased between 5 to 10 percent since last year. The restaurant added a second outdoor patio last summer. “Sure there’s some competition, but we hope people come here and hope to give them good service, so we’re not too worried. I think there’s plenty of enough room in the market,” Polk said. 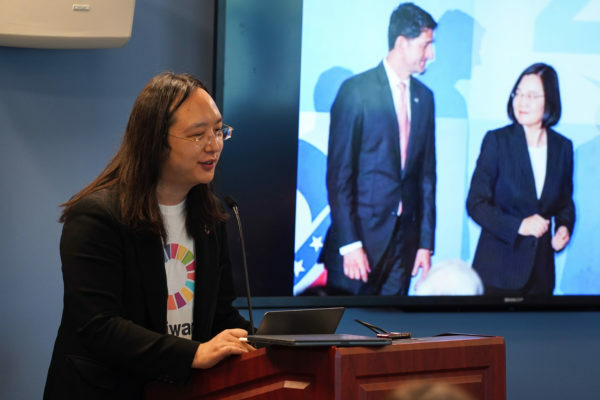 Colleen Murphy, Susan Huang, Bridget Hughes and Cory Weinberg contributed reporting.